The world rankings say Shane Lowry regressed in 2013 but the Offaly man is convinced he made big strides with his game despite a disappointing ISPS Handa World Cup of Golf performance at Royal Melbourne. “Well folks. I made par on the last. #enoughsaid,” tweeted Lowry - frustrated by two bogeys and a double bogey on the 18th in previous rounds of 75, 72 and 71 - as he closed with a 74. 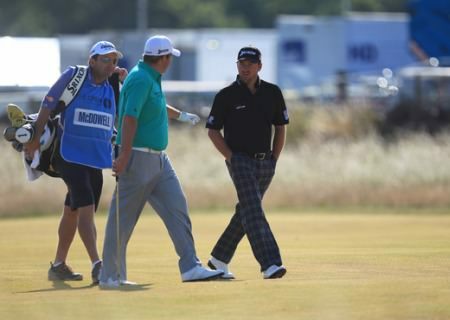 The Clara man finish tied 44th in the individual standings on eight over while Graeme McDowell’s slim hopes of winning the individual title ended with an outward nine of 39. Shane Lowry believes his game has been transformed over the past 18 months. Picture: Fran Caffrey www.golffile.ieThe Portrush man shot a 75 to share 15th behind Jason Day, whose 70 gave him the individual title by two shots from Thomas Bjorn, just days after the tragic death of several of his relatives in the Philippines typhoon disaster. The Australian and compatriot Adam Scott (71) took the team title and the top prize of $600,000 by 10 strokes from the United States pair of Matt Kuchar and Kevin Streelman on 17 under par. Ireland’s duo did not leave Melbourne empty-handed either. While they got nothing for their share of 11th in the team standings, 26 strokes behind the Australians, McDowell earned $100,000 and Lowry $35,500 in the individual format which will be used for the golf’s Olympic Games return in 2016. McDowell will round off his season at Tiger Woods’ year-end bash at Sherwood Country Club in California in a fortnight but Lowry headed off to Sydney for a holiday after a season that did not quite pan out as he would have liked in terms of wins or the making the Top-50 in the world rankings. Ranked 52nd in the world in January, he will end it outside the top 70 after a season that saw him beat Rory McIlroy in the WGC-Accenture Match Play, perform below expectations on invitations on the PGA Tour but still rack up 17 cheques from 21 starts on the European Tour thanks to a career best haul of six Top-10s. “Absolutely chalk and cheese,” Lowry said of the difference in his game over the past year and a half in the latest issue of Golf Digest Ireland. “I think from 18 months to two years ago it is chalk and cheese. “For some reason, I don’t know where I got it from, maybe it is from continually playing and consistently getting better and better, but I have become 20 yards longer with the driver and probably 10 to 15 yards longer with each club. Graeme McDowell during the final round at Royal Melbourne. Photo: Anthony Powter/www.golffile.ieAs Lowry headed off on holiday, Day secured an emotional victory just a week after losing eight members of his family in Typhoon Haiyan. 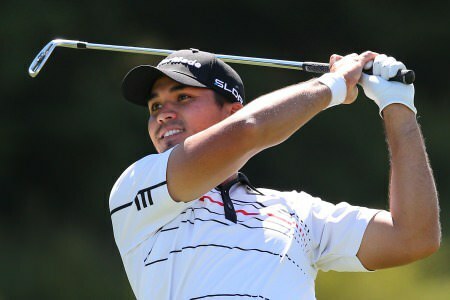 The 25 year old delighted the large crowds at Royal Melbourne Golf Club – which included his mother Denning – by seeing off Björn by two strokes. Unlike Scott, who eagled the first hole, Day started his round with a bogey, but rallied with back-to-back birdies from the third hole to regain the initiative. Aussies rule. Jason Day and Adam Scott with the World Cup trophy. They couldn’t lift it off the ground. 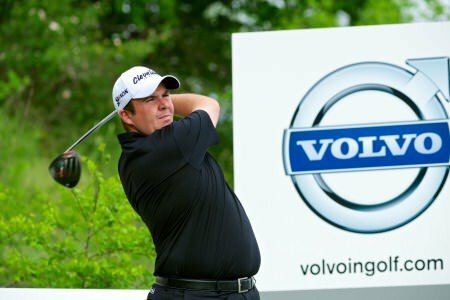 Photo: Anthony Powter/www.golffile.ieBjörn, who trailed Day by one shot overnight, also birdied the third and fifth holes to remain in the hunt, but the turning point arrived at the sixth hole, where the Australian holed his approach shot for an eagle. In contrast, Björn dropped a shot and, despite three birdies on his back nine, the Dane’s round of level par 71 ultimately saw him finish two shots shy of the winning mark on eight under par. Day collected a total of US$1.5million – US$1.2million for winning the individual event, and a further US$300,000 for the team competition – for the biggest victory of his career. Following his first win since his lone PGA Tour victory, the 2010 HP Byron Nelson Championship, Day said: “It was a complete honour to win here at Royal Melbourne. To win in front of the Melbourne fans who are so passionate about their sport was an amazing feeling. “It feels great. I just really don’t know what to think right now. All the hard work and dedication that I have put into my game over the last five or ten years is paying off. “My message to the Olympic Games organisers is that it would be good thing if teammates could play together in Rio and if Adam and I should get there to represent Australia,” said Day. “If we play together we could help each other out as teammates as they do in other Olympic team sports. He continued: “The format was great this week and Adam and I can’t complain about the result, and it’s kind of hard not to like it when you win, but I think the Olympic organisers should pair all the teams together. Björn, who was left to rue two bogeys in his last three holes, said: “Obviously I’m disappointed, but on the whole it’s been a great week. It’s been a real pleasure to play on this golf course, and I couldn’t be happier for Jason winning. He has gone through a rough time of late, and for him to even be here is massive. Scott, whose opening round of 75 included a nine, signed off with a best-of-the-day 66 to take third place on seven under par, one shot ahead of Kuchar, who closed with a level par round of 71. McIlroy contractually obliged to miss World Cup? 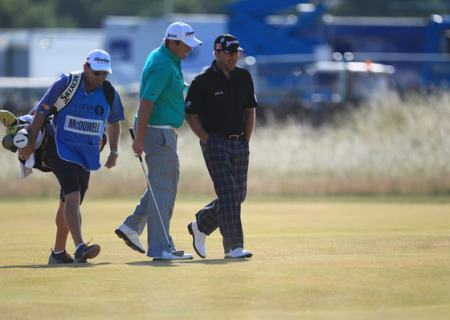 Shane Lowry and Graeme McDowell during a practice round for The Open at Murifield. Picture Fran Caffrey www.golffile.ieContractual reasons are being touted as the reason for Rory McIlroy’s absence from the ISPS HANDA World Cup of Golf, giving Shane Lowry the chance to pick up some precious world ranking points when he partners Graeme McDowell at Royal Melbourne in November. They might not get to play together at any stage but Graeme McDowell insists his partnership with Shane Lowry comes before individual honours in the $8m ISPS HANDA World Cup of Golf at Royal Melbourne. Jason Day leads the World Cup as an individual and also with Adam Scott in the team section. 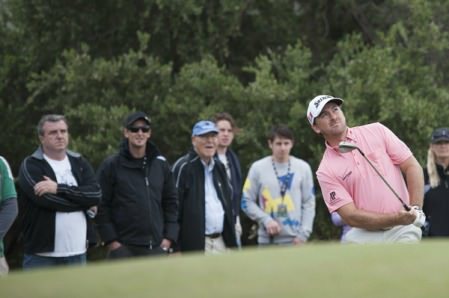 Picture © Getty ImagesGraeme McDowell carded an immaculate 67 to give himself an outside chance of catching home hero Jason Day in the final round of the ISPS HANDA World Cup of Golf.